Experts are rather skeptical about the government's plans to sell the oil in rubles. The Russian government is shortly to start selling a new benchmark oil in rubles, priced in a similar range to the popular Brent sort. However, analysts doubt that it will be possible to achieve high sales volumes in a short period of time. In November 2015 Russia will begin selling a new benchmark oil class, according to a report by Russian daily newspaper RBK, citing an announcement made by Dmitry Makhonin, administrative director of the Federal Anti-Monopoly Service's fuel and energy complex, a government organ responsible for following collusions on the market. According to Makhonin, the name of the new class has still not been revealed, but its cost will not be linked to Brent quotes. The new oil type will be sold in rubles despite the high volatility of the Russian currency and its strong changeability in relation to the euro and the dollar. Currently, a large part of Russian oil consists of the Urals and ESPO brands and is sold in dollars at a discount in relation to the most famous benchmark in the world, Brent. One of the main reasons for the discount is the absence of a single and transparent mechanism for pricing and guaranteeing supplies. The introduction of the new benchmark, officials believe, will make the sale of Russian oil brands more active and reduce the discount. According to the anti-monopoly service, it is possible to increase the price thanks to the growth of exchange trading volumes. Why create a new oil class? In June 2014 the Russian Energy Ministry created a work group under the direction of Deputy Minister Kirill Molodtsov with the participation of oil company representatives and high-profile institutions. This group developed the conditions for the creation of the new benchmark oil class. In September 2015, during a conference on global oil product markets, Molodtsov said that the Energy Ministry believed the new oil would begin trading between the end of 2015 and mid-2016. Test sessions will be held before actual trading begins. The deputy minister did not specify, however, exactly which oil sort will be traded. Experts are rather skeptical about the government's plans to sell the oil in rubles. According to Georgy Vaschenko, director of operations on the Russian Capital Market at Freedom Finance, there is no basic difference between selling the oil in rubles or in a foreign currency. Is the Russian economy about to be hit by a new drop in oil prices? "In the market economy it is the buyer who dictates the rules and currently he buys oil in dollars and hedges his risks with derivatives, as well as with dollars," explained Vaschenko. There are few buyers who will also want to assume a currency risk since derivatives on the ruble are illiquid and inaccessible, so trading will probably involve small oil volumes produced in Russia and supplied to Southeast Asian markets, he believes. He also estimates that volumes will be several dozen, or in the best case a few hundred thousand barrels a day, which is equal to about $1 million. 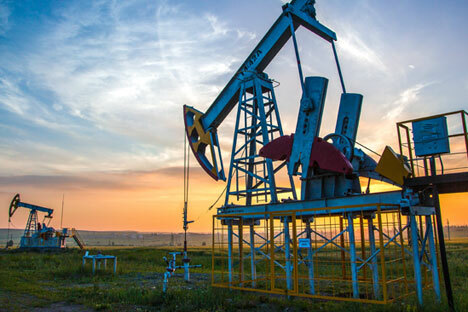 Moreover, selling oil in rubles, in the view of UFS IC analyst Pyotr Dashkevich, can be partly considered an obligatory sale of currency earnings to exporters. This initiative was discussed at the end of 2014 as one of the measures for supporting the Russian ruble. "Such a measure may indeed strengthen the ruble but it will deprive the government of devaluation income," said Dashkevich. In other words, the government will stop benefitting from the ruble-dollar exchange rate, receiving more and more rubles with each fall of the Russian currency.